Hello! 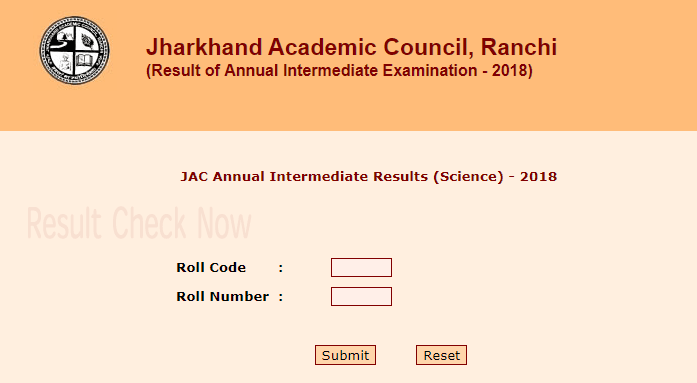 students of Jharkhand Academic Council now you can also check the results of JAC Class 12th Board Examination Results. 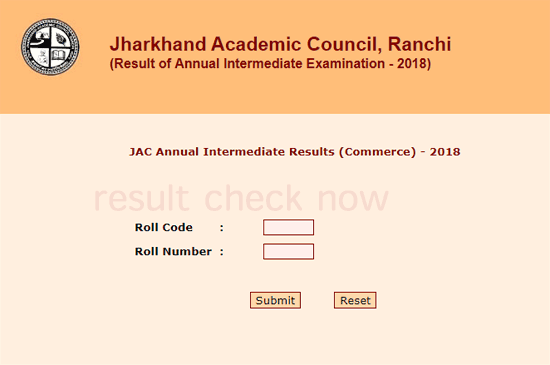 The result of JAC XIIth/Intermediate Science & Jharkhand Board Class 12th Commerce REsult has been announced today on the result portal website of the Jharkhand Board. you can check result online using roll number and roll code, which are available on your admit card. Below we have provided stepwise details for checking of Jharkhand Board Class 12th Result and the direct link to check JAC Intermediate March 2018 REsults for Science and Commerce Stream. Please Note Type Roll Code and Roll Number Exactly as written on your admit card. Students who qualify the JAC Intermediate examination after 15 days from today (07/06/2018) Contact your respective school for collect original mark sheet and another certificate which will be issued by JAC (Jharkhand Academic Council, Ranchi). Students who are not satisfied with marks which they scored in an Intermediate examination result respective stream can apply for JAC 12th Result Rechecking/Rectify/Re-Evaluation, Soon on this page provide the link to apply and concern information.